I'm writing with few questions about Your "PDFPrint Command Line". My company is looking for library to print PDF files. We are trying your software and we are satisfied about results. First question is quantity of printers, that we can use in one time. Our server have 3 printers, and I was trying to print same time 3 types of documents. When there is no pause between executions of printing command, everything is printed on last called device. When I put "system pause" between commands, everything was printed on correct devices. Making copy of exe file is not solving problem to. Is there option to print various documents same time on many printers? If my company will want to use your software as part of our system, is there option to get dll file with functionality of "PDFPrint Command Line"? What means "Server License" and "Developer License", what is difference between those versions? >>If my company will want to use your software as part of our system, is there option to get dll file with functionality of "PDFPrint Command Line"? 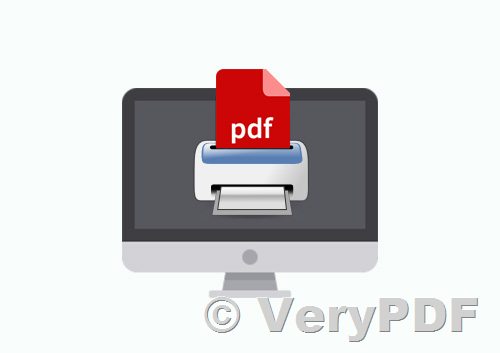 after you buy PDFPrint SDK Developer License, you can integrate it into your software and distribute it along with your product to your customers royalty free. >>What means "Server License" and "Developer License", what is difference between those versions? Server License: It can be run on one server/computer with any number of users, it is licensed by per production server/computer (you needn't pay for development/test and backup servers), you will need to purchase a server license for each production server/computer you wish to run Server License on. Server License can be run Windows NT Server, Windows 2000 Server, Windows 2003 Server, Windows 2008 Server etc. server systems. After you purchase a server license for a server, all users on this server will able to use this product without any restrictions. Please notice: Server License is can only be accessed by all users or applications which reside in this server, you can't place the exe file on a shared folder and use it from several clients. If you wish to use it by this method, you will need to purchase a developer license or purchase a license for each client, and register the software from each client, then each client will able to use the software without any license problem. Developer License (Royalty Free License): It can be run on any number of servers or computers with any number of users, it is licensed by per developer. Developer License is royalty free for runtime desktop redistribution. Developer License does cover the Server License. If you wish run our product (Command Line or SDK or COM) on lots of computers, you need purchase Developer License (Royalty Free License), once you purchase the Developer License, you can run our product on any number of computers, you can also integrate our product with your application and distribute it with your own application royalty free. However, if you will run our product on one server only, the one server license will enough to you, you may choose proper license according to how many computers that you will run our product on. How can I control duplex feature in pdf print command line application? Is there a good ActiveX/COM component to “print” to PDF?